The backwaters are the best place to go for a honeymoon in Kerala. There are various backwater tours available. However, on the other hand, there are various places which one can visit personally to enjoy their honeymoon. His article will mention these places and explain the main attraction of the place. Wayand is a place located in the Western Ghats Mountains. This is a place which has environmental as well as spiritual beauty. The main attraction in this place for honeymoons is the eco resorts. These resorts provide peach and tranquility to the visitors. Going on a honeymoon to this place will improve the relationship spiritually as both the partners’ understand each other at a different level. This place also has a lot of tea, coffee and spice plantations to go around. Shopping of the spices can also be done here. It is also the home of the rain forests. Alleppey is another place which is tailor made for the honeymoon couples. This is the 'Venice of the East' due to the vast number of lagoons, canals, backwaters as well as beaches. There are various house boat facilities in the city. This is due to the vast abundance of backwaters. Many people choose to go to Venice for their honeymoon but this is also an equally good place for holidaying and has been so for many centuries now. However, with the introduction of the western tradition of honeymoons, this has topped the list along with the hill stations in the north and Ooty in the south. There are resorts for accommodation in this town. 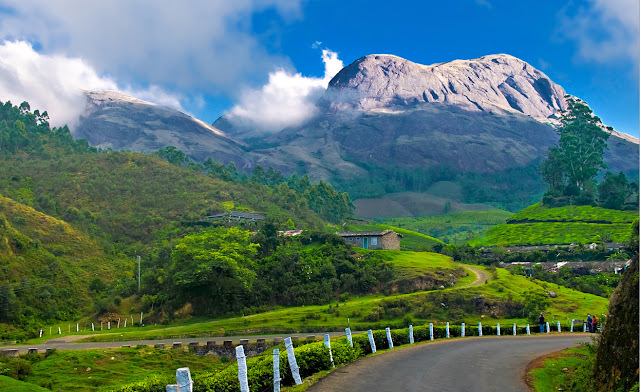 Munnar is one of the most popular hill stations in the state of Kerala. Many people have chosen this place for holidaying and also for honeymoons from a long time. When it comes to honeymoons in Kerala, this is a must included place along with Allepey. The food is a very important part of any tour irrespective of whether it is a honeymoon or a family holiday. Kerala is located in the coastal area and thus, sea food is a delicacy of this state. One should definitely enjoy all the dishes made with the theme of sea food. There are many such restaurants for this purpose. Along with the food, another main component for the honeymoon in Kerala is the spa treatments. One can never complete a vacation in Kerala without getting a spa treatment done. This booking should be done well in advance after finding out about the best spas in the locality of your travel. You can also ask your travel agent to make arrangements for the same along with the package. Most of the times, the package will include this and if not, the travel agent will make sure to ask you for it. The last place to include in this Kerala honeymoon list is Kovalam. This is a place known for its exotic beaches. The sun, sand and the sea will make perfect company for two people on a lonely honeymoon date or a candle light dinner.